My family loves pizza. Whether it's takeout, delivery, or homemade, I think my husband and boys would be happy to eat pizza 3 or 4 nights a week. 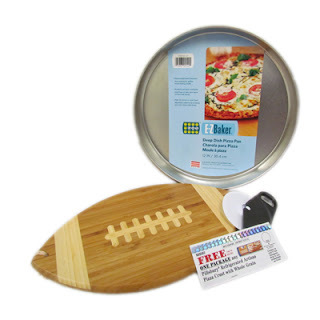 I know we'll have pizza this Sunday for the Super Bowl! While sometimes Bo enjoys making pizza completely from scratch (and he makes an excellent crust & pizza sauce! ), we don't always have time to wait for the dough to rise and rest. For those nights when I really don't want to spend the extra money on delivery or takeout, premade crusts are a great way to go! 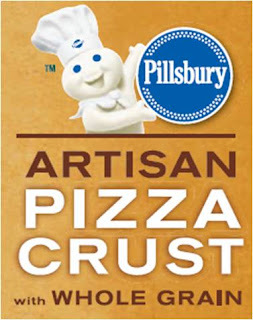 Pillsbury Artisan Pizza Crusts come in a tube available in the refrigerated section, and roll out into a beautiful crust. Topped with our own toppings, it makes a quick meal that satisifies everyone. If you want to try out the Artisan Pizza Crusts, Pillsbury has a $1.50 coupon available for download right now! Pillsbury also has a ton of great recipes available to check out. Bo likes that this crust is easy to grill, just like his own crust. Mandatory Question: What's your favorite pizza topping? The giveaway will end on January 30, 2013You can find all my giveaway rules linked on the top right of my blog. (Giveaway open only to US addresses.) Good Luck!! Oh, did we love the show last night! We attended opening night of Disney on Ice Dare To Dream at the Phoenix US Airways Center last night and had a wonderful time. This show was a little different than others that we have seen, in that it told the story of 3 fairy tales during the 2 hour show. We started the evening with Princess & The Frog and thoroughly enjoyed the music of New Orleans and when Tiana and the Prince were turned into frogs, they were downright adorable! Next, we watched the Cinderella story unfold, complete with hilarious step-sisters, the adorable mice, and a gorgeous carriage. I was especially impressed with the skater/horses that led Cinderella's carriage. 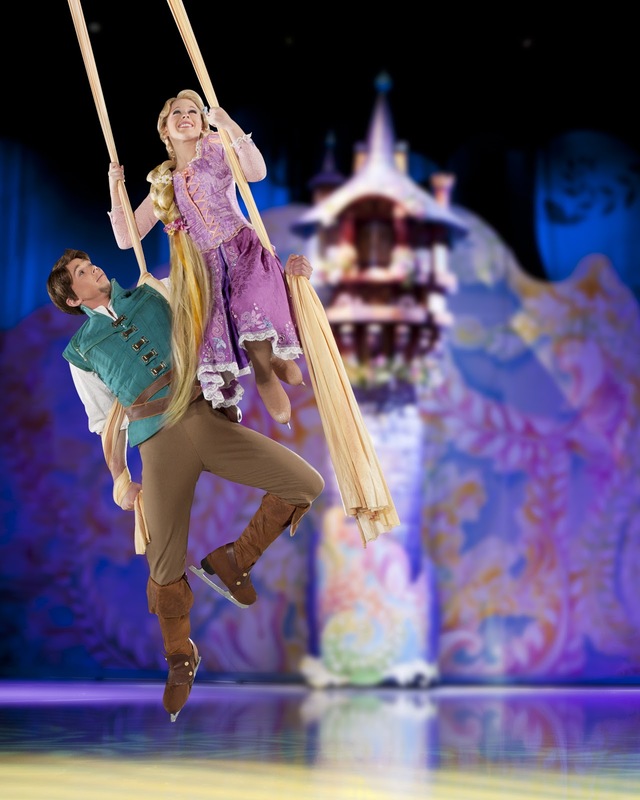 But, we all agreed that our favorite part of the show was Tangled! Not only were Rapunzel and Flynn amazing skaters, but they also performed exciting acrobatics from long fabric hanging from the ceiling. They really "flew" above the ice and it was so much fun to watch! They also did a fantastic job with the horse, Maximus -- I don't know how the 2 skaters who wore that costume managed to do such a fabulous job. The finale had more princesses and princes, all dressed in gorgeous gold and white costumes. The cut of the dresses and the hairstyles made it obvious which princess we saw, and I absolutely adored the gold and white. It was stunning! The kids all enjoyed the show, and the boys were grateful for the laughs from Mickey and Donald Duck, as well as the Cinderella mice and Flynn's antics. Lydia was mesmerized throughout the performance, and declared it "ABSOLUTELY AWESOME!" My lucky giveaway winner let me know that she & her family had a "perfect evening at Disney on Ice." I love being able to share that fun. You still have a chance to see it in Phoenix before it leaves! The Sunday, January 13th show at 4:30 will be performed entirely in Spanish. If you have the chance to attend, I highly recommend it. We have never been disappointed by a show yet. I'd also like to note that they are fantastic about starting right on time. When the ticket says that the show starts at 7PM, then the show STARTS at 7PM. Based on the number of people scrambling for seats in the dark, I think that people don't believe the starting time. I recommend getting there in plenty of time so you don't miss a moment of the show!